Happy Solstice. A few snapshots of my garden this morning and the next batch of herbs growing on my windowsills to celebrate the middle of summer. Tonight we will celebrate with a meal eaten outside, the table decorated with flowers from our garden and the hedgerows. However you plan to spend today, enjoy the outside, celebrate the seasons and give thanks for the bounty the earth gives up despite the fact we treat her so badly. But as you can see this post is meant to be about moisturiser. So back on track. 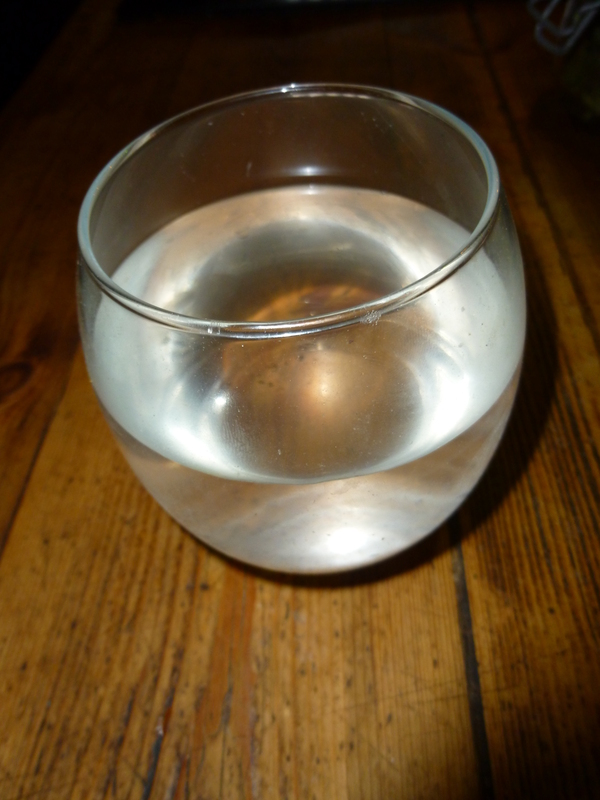 I made rosewater the other day because I was running low on moisturiser and rosewater is one of the components. So I was marginally miffed when I assembled the ingredients for moisturiser and discovered I was out of shea butter. It didn’t matter too much as I have plenty of cacao butter, but whilst that does have a deliciously chocolate smell there is no point using rosewater as the water element as the delicate smell would be wiped out. This recipe is a mixture of ones I have found in books and latterly on the internet. They are all variations on a theme so if you fancy giving this a go, make a few very small batches until you arrive at something you like and suits your skin. * I usually use rosewater but you can use plain water or aloe vera. I have very sensitive skin and get urticaria at the drop of a hat and am a complete fan of oatmeal scrubs. So this time I used cooled oatmeal water (I chuck a handful of raw oats in a pan of water bring to the boil and then leave to cool and strain) and added a couple of tablespoons of aloe vera gel to bring it up to 25ml. ** Honey and glycerin are both humectants so help the skin retain moisture. Either will do. Don’t use too much or your moisturiser will become unpleasantly sticky. It really couldn’t be easier. Put all the oils, beeswax and cacao butter in a bowl over a pan of boiling water and melt together gently, then you need to incorporate the water. Unlike the balms and salves I make for medical purposes I want this to be lighter so I want to make an emulsion. If you have ever made mayonnaise or Hollandaise sauce it is much the same. I have a hand held blender (the stick variety) and this works perfectly. 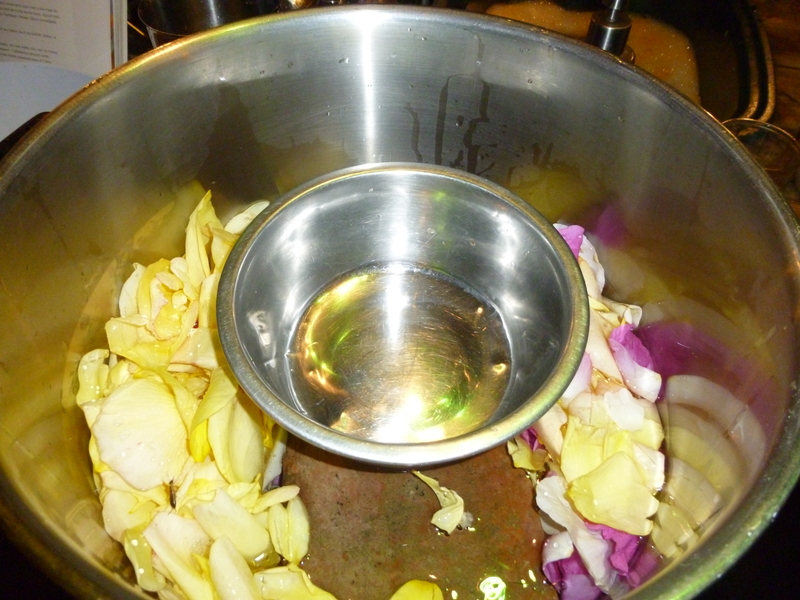 Let the oil cool a little and then gradually add the water drop by drop and mixing furiously after each drop. Once it has started to emulsify you can add more water each time and I will confess to having once just chucked the whole lot in at once to no great ill effect. Now you can add your optional extras. I didn’t add any essential oil as I had used cacao butter and that will mask the EO (or certainly make it smell a little weird). Which oil you use is up to you. I love geranium and rose so tend to use those. I use Rosehip oil as a serum on my skin every day (and have just found a recipe to make my own so watch this space in the autumn). It is a fantastic anti-oxidant so I always add it to my moisturiser as well. I add about 20 drops. To be honest I don’t know if it makes much difference at this dilution but I still add it. Vitamin E is a another anti-oxidant. Pour into clean (I sterilise my jars as I would if making preserves). Leave to cool and put in the fridge. I keep mine in the fridge. Nobody has eaten them yet 🙂 They will keep in the fridge for about as long as you can keep milk say 7-10 days maximum. If you are not going to keep your moisturiser in the fridge and you want to keep if for more than 10 days or so you MUST add a preservative. Unlike balms which are pure oil and fats this moisturiser contains water and are thus at risk of microbial growth. Thus far I have not made a lotion with preservative, however, much reading of learned (and not so learned) papers on the internet leads me towards pheonip or germall plus. The choice as to whether you use a preservative is yours. I prefer to err on the side of caution if I am going to keep a lotion out of the fridge. As for the rosewater. I mixed it up 2/3 rosewater 1/3 witchazel. I have used this as my toner since I was in my early teens. You can vary the ratio, witchazel is an astringent and good for oily teenage skins. At my age I suffer less from acne and so up the rosewater to the witchazel. In my aim to get back down to basics and exclude plastics and unecessary chemicals from our lives I have begun to expand my repertoire of homemade toiletries and cleaning products. I have used rosewater and witchazel as a toner since I was a little girl and I recently discovered the best make up remover EVER. Olive oil and witchazel, I have never seen anything remove so much grime and make up. 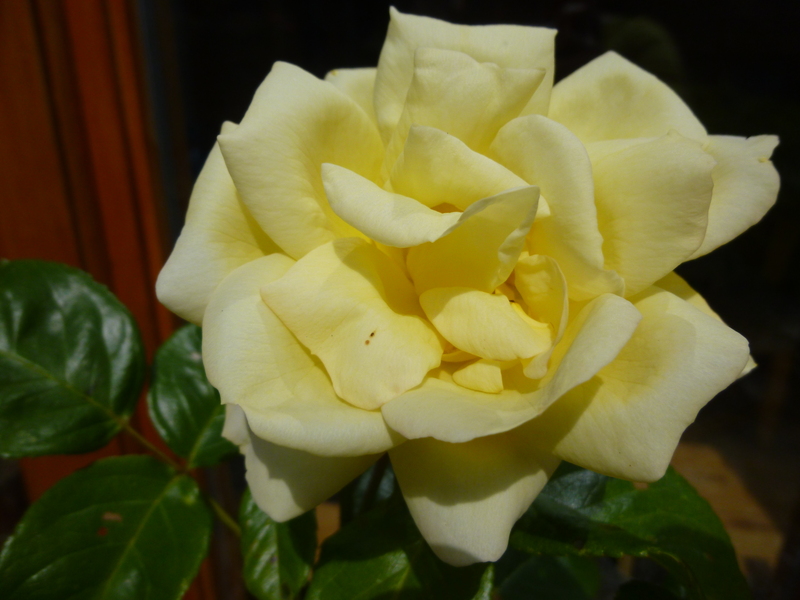 I was about to order some more rosewater in order to replenish my moisturiser when I looked out at the garden, heavy with roses and wondered if I could make my own. 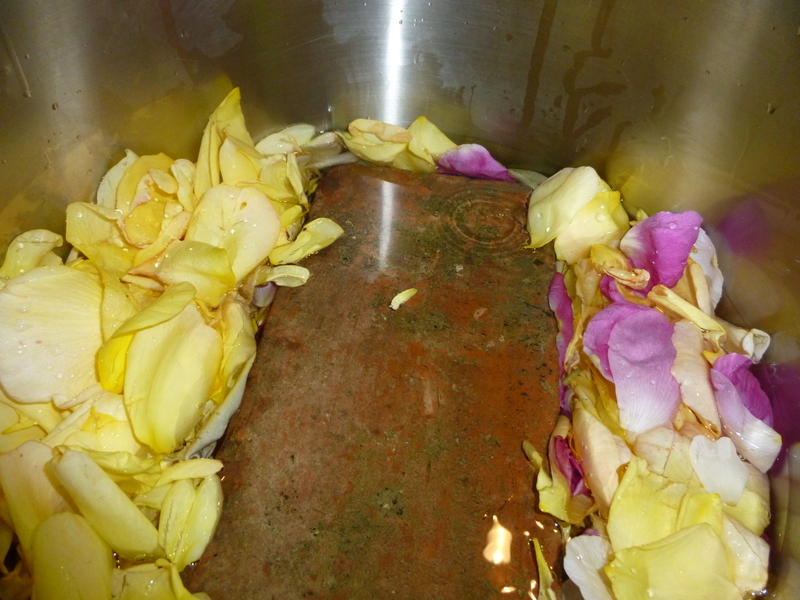 I collected about 4-6 pints of rose petals and placed them in my huge soup pan. I then placed a brick in the middle. I placed a metal bowl on the brick and covered the petals and just over the top of the brick with water. 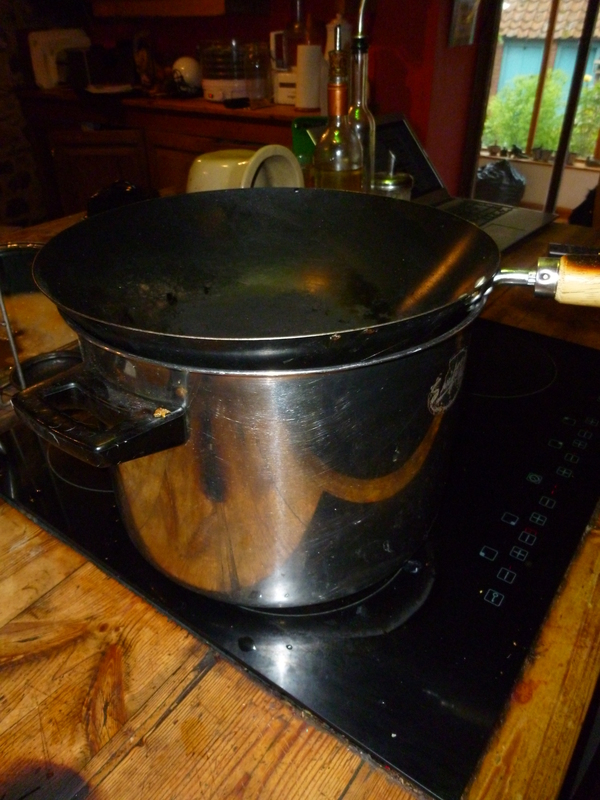 Then I placed my wok over the top and brought the water to a rolling boil. Once it was boiling I reduced the heat to let it simmer and placed handfuls of ice in the wok. Ta da my home made still. As the water evaporated it hit the icey cold wok, condensed and then dripped into the bowl on the brick. I emptied the bowl regularly and let it keep simmering for about 30 minutes. Much longer and I reckoned the product would become too weak. Unfortunately this is not a scratch and sniff blog, but I can assure you this smells divine. My first 3/4 pint of rosewater made with my own rose petals. Now I can replenish my moisturiser. Back in the garden the greenery is doing greenery types of things. Essentially it’s growing. The Boss goes out with a frown and starts to remove the greenery which is growing where he has plans for other greenery. I run behind him and rescue his victims. Then when he has had enough of killing off the greenery I want to keep he goes for a kip and I go and pinch (sorry forage) for more greenery in the fields and woods. A particularly lovely and refreshing tea is nettle and mint. 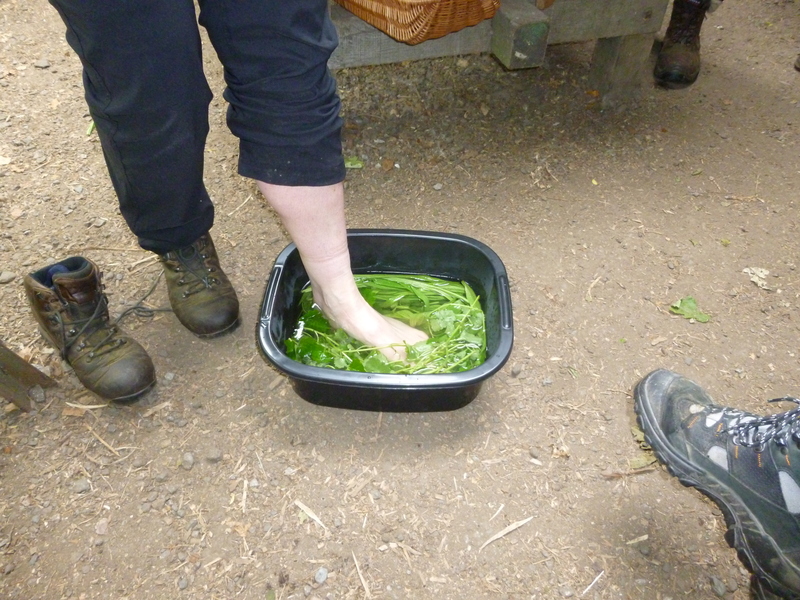 At this time of year you can use the fresh leaves (don’t forget your gloves!). But I’m stocking up for the winter months. 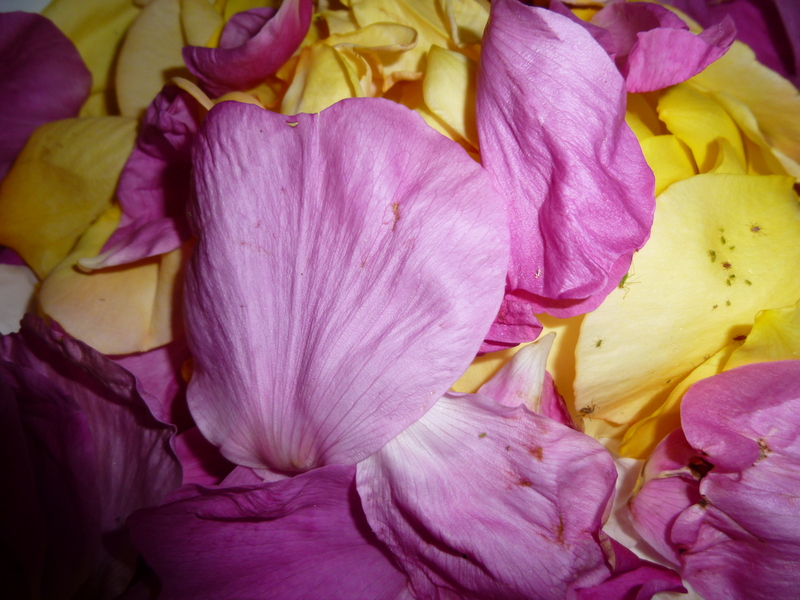 You can dry leaves and flowers in a cool (50 centigrade maximum) oven, bottom of the aga or with a dehydrator. 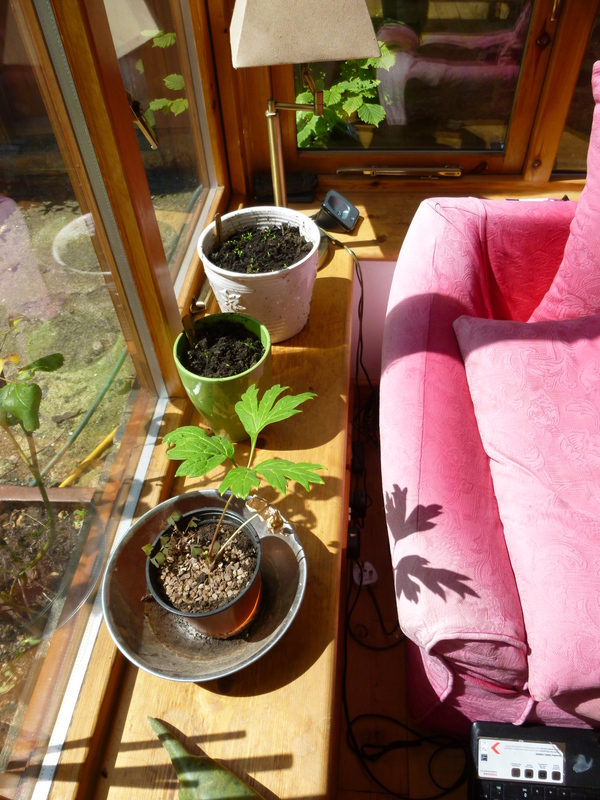 Alternatively if you want to be completely carbon neutral tie them in bunches and hang in a warm airy room. If you are drying flowers like elderflower which may drop off then place a paper bag around the bunch, but make sure to make several holes in the paper to ensure airflow. 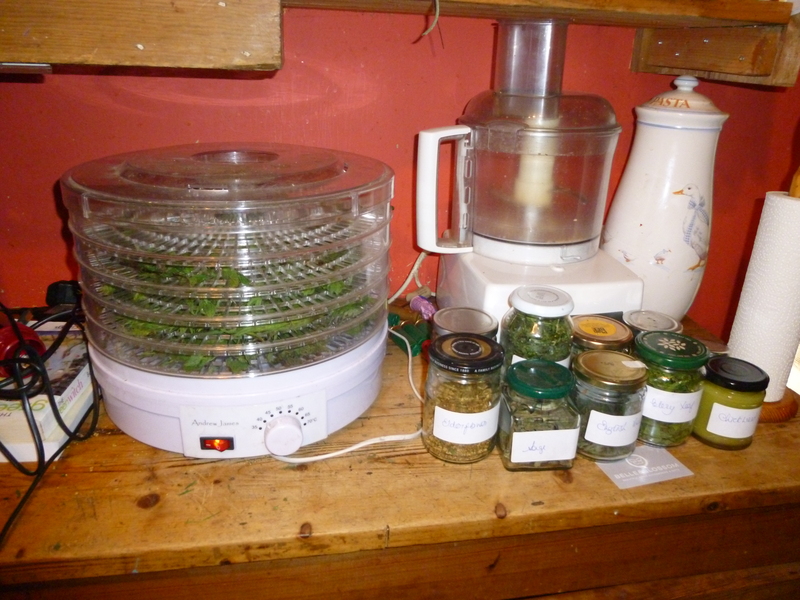 Our aga is off for the summer and I like the speed and convenience of the dehydrator. I dry a lot of plants and it is the easiest way to bulk dry without turning on the oven. 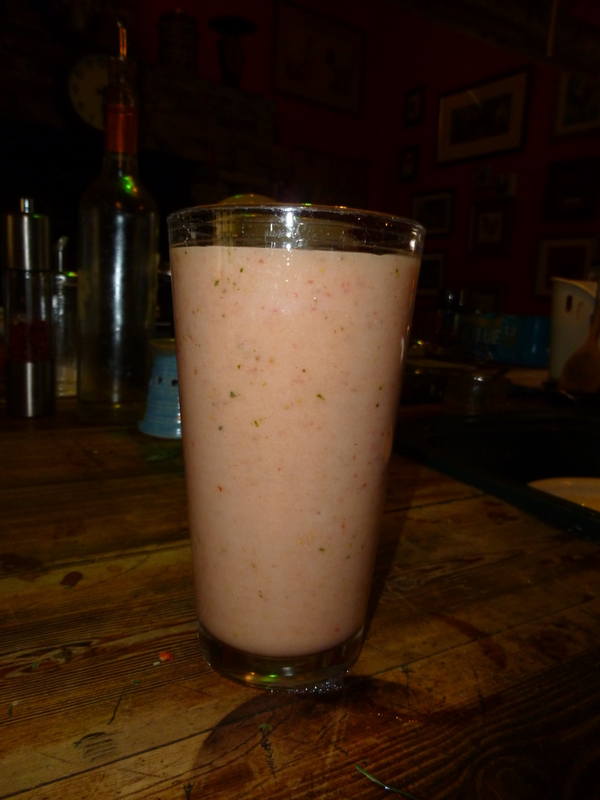 Plenty more to forage and garner but I have had enough for today and am going to settle down with a banana, strawberry, applemint smoothie thinned down with the whey from the cheese. 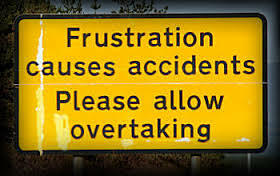 Those of you who have spent any time on the A9 will be familiar with these signs. In my experience they have little effect and I have spent hours in a high state of frustration behind a slow moving vehicle. However that is a whole different story. Were you to walk into my house tomorrow you would, in the light of this blog, to discover a minimalist, clear lined, almost empty house. Sadly you would be disappointed. Despite the enormous amount of stuff we have rehomed there is still far more than we need. Over the past few days I have seen things out of the corner of my eye that I wanted out. So today I did Operation Quick and Dirty. In the space of a ten minute dash around the house I accumulated all of this. 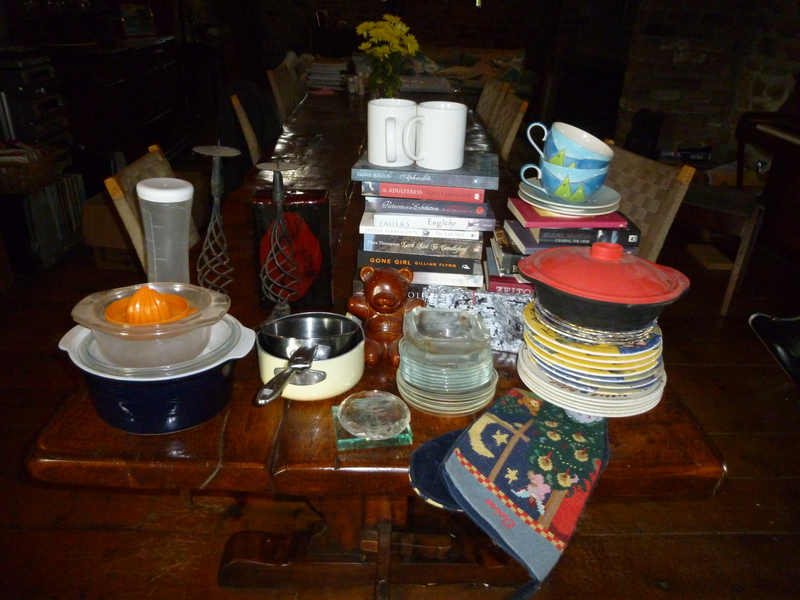 Living with less is not just about decluttering, about getting rid of stuff. It is about changing how we live, about adapting our lifestyles to leave less of a footprint. 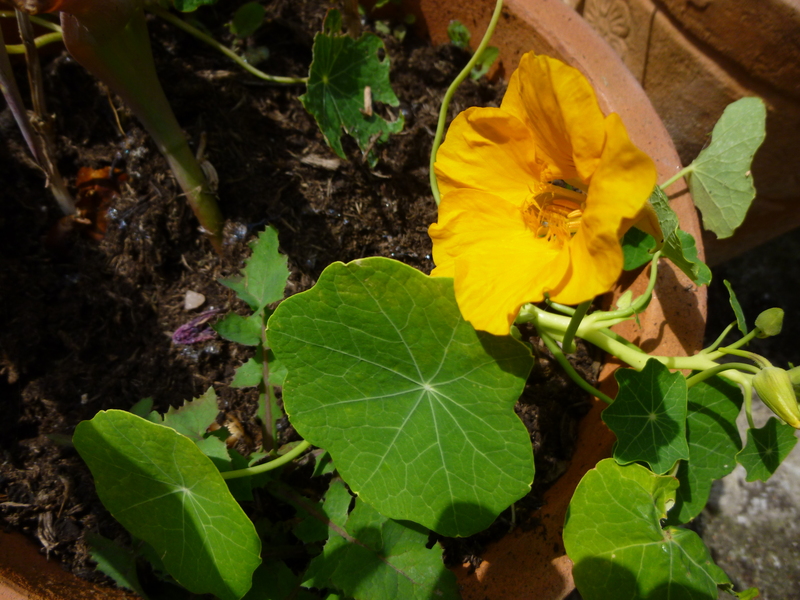 I have long wanted to learn more about herbal medicine, to be able to treat ailments from the content of my garden and the surrounding fields rather than by prescription. Before I am hounded out, I am married to a medic, I fully appreciate that conventional medicine is both essential and lifesaving. But as even the Boss acknowledges aspirin, digoxin, vinca alkaloids, atropine, l-dopa and many hundreds more drugs upon which we depend are all derived from plants. I have made some ointments (comfrey, calendula and lavender), I have dried some plants, made oils and decoctions but only using a handful of plants I knew and was confident to use. So I was so excited to spend a day with Sarah Hughes at the woods owned by Chris and Rose Bax of Taste the Wild. Sarah is a nutritionist and medical herbalist and not only clearly knows her stuff, she is fun, interesting and makes you want to know more. We walked through the woods, identified plants, learned about their therapeutic uses and laughed. Laughter is a great medicine. Take if from me, somebody who has been in some dark and lonely places and has the dubious honour of being the subject of a police helicopter search, if you can laugh you are 99% of the way towards recovery, regardless of your ailment. So we laughed, foraged and then we met Mr Plantain. Some of you will know that I had a slight disagreement with the tram line in Edinburgh on Tuesday. Net result a huge hole in my knee. By the time I arrived this morning the wound was frankly gooey and unpleasant. Not yet infected but it wasn’t looking good. Ah ha. We were going to make a plantain poultice, a poultice which is good to draw our dirt and toxins and is best used before the comfrey I was used to using. 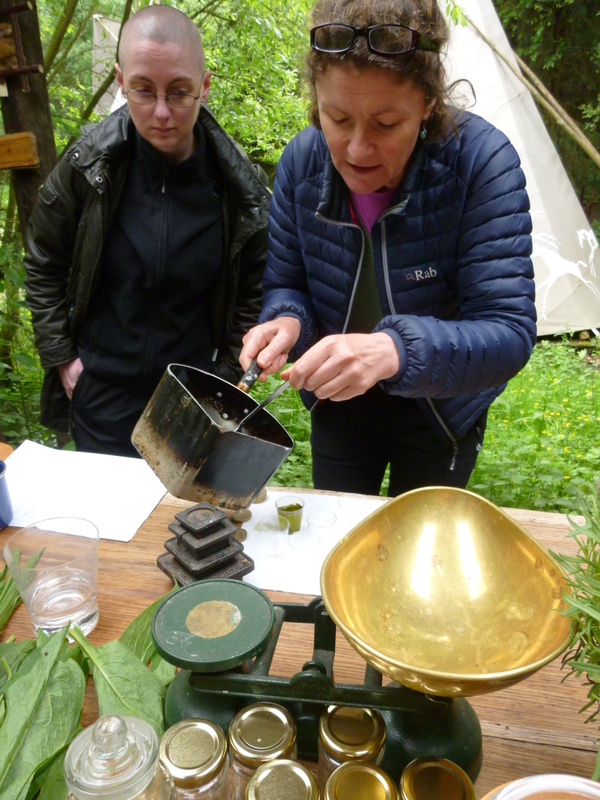 Using comfrey on a potentially dirty wound risks healing of the skin over an unclean wound = abscess. So I was the class practical session. Poultice applied mid morning. It is now early evening and the redness has reduced and whilst it is still sore it no longer throbs. 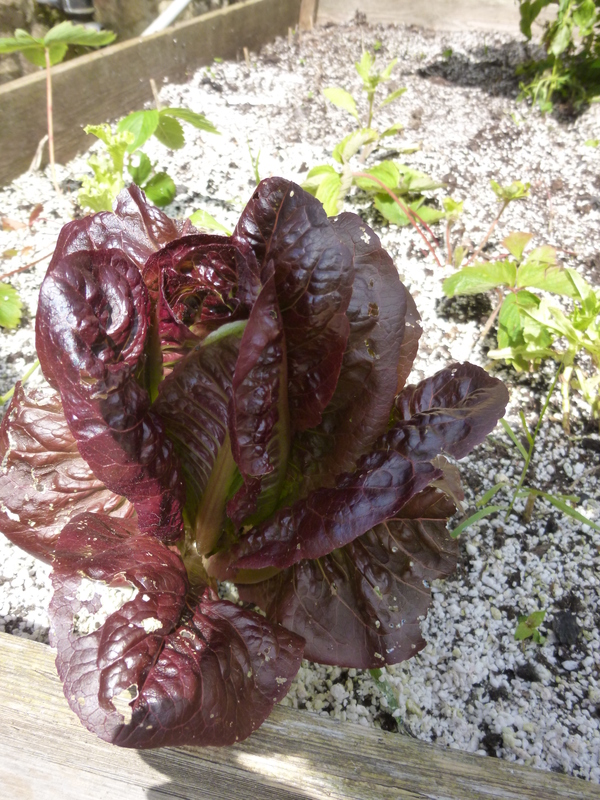 I have replaced the poultice with a fresh one. 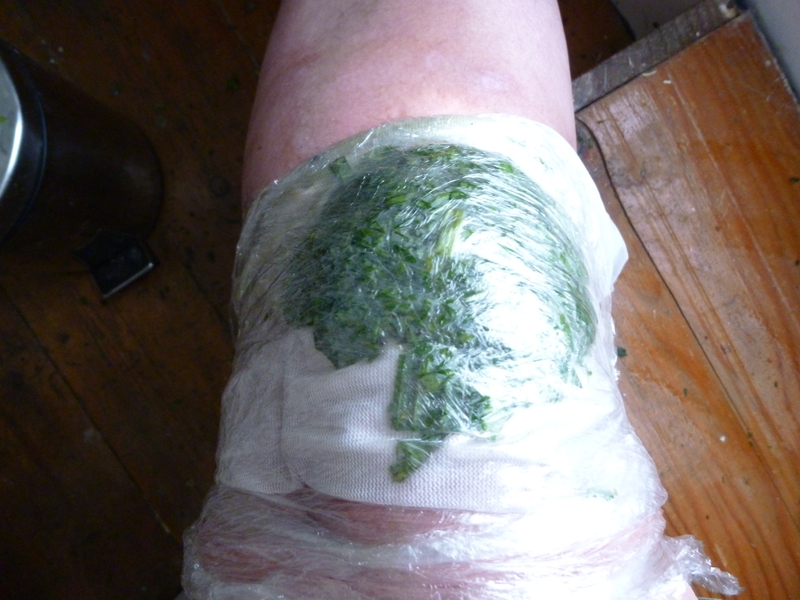 Here is the poultice covered knee. I did think seriously about showing you the lovely clean wound, but I suspect that some of you might never come back again if I did. 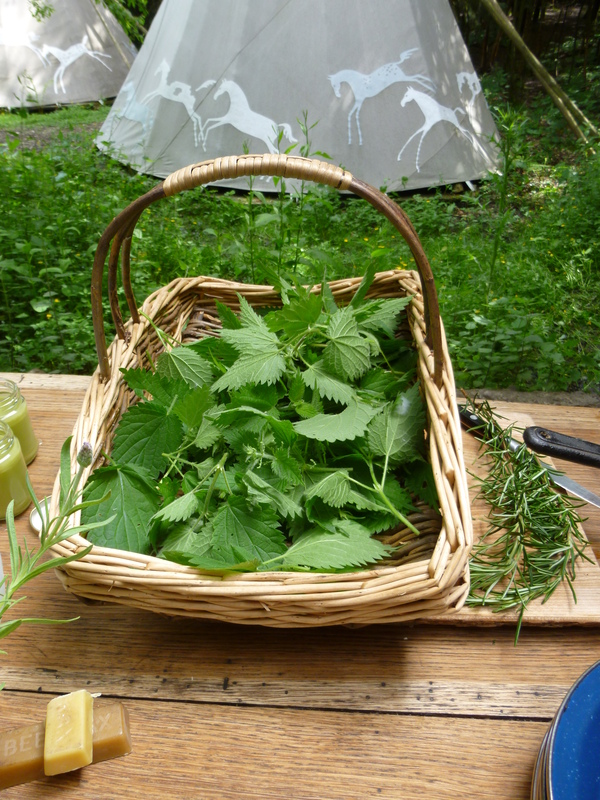 You do need to know what you are doing, just as you need to know what you are doing if you are foraging. Make a mistake and you could kill yourself. It isn’t a game. But it is an alternative and one we ought to learn about and understand. We now finally believe that it is time to teach our children how to code rather than how to use a software programme written by somebody else. When will be believe that it is time to teach our children how to use the plants around them to cure and to feed, and even more importantly which never to touch? It’s end of the month time, those of you with a mathematical bent will be longing for this post. This is the sequel to the statistic in the wardrobe, today you are getting another rip-roaring romp through my wardrobe. This is the basis of my wardrobe for the next three months. I can, and no doubt will add and subtract here and there. But after two months of clothes analysis I think this is the core. 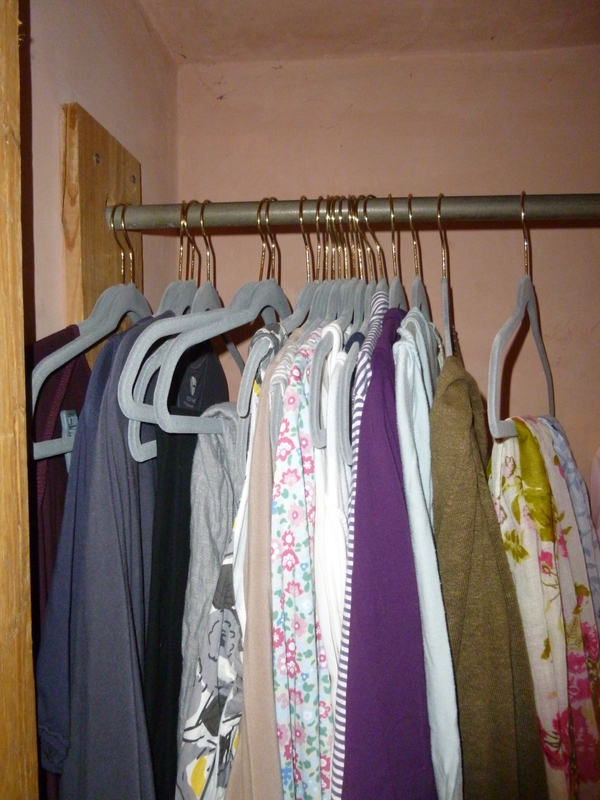 This is how they look hanging up. Including what I am wearing today that makes 27 items. I have not included shoes because for the most part I wear the same fit flops or Toms all summer. This month I have worn more of my wardrobe, a total of 48 items compared to 40 last month, but blue has been toppled by gray. I must have forgotten to record some shoes because though I do spend most of my day barefoot, I do usually put something on my feet when I walk out of the house! 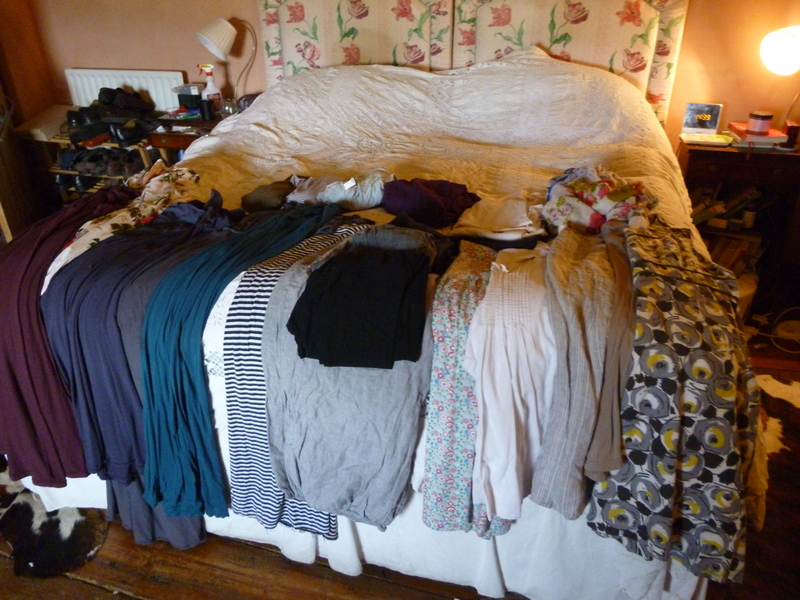 I wore 5 tops, 5 bottoms, 5 dresses and 3 cardigans both months. Those items were worn a whopping 84 times over the past two months with the highest wearage going to an ancient pale blue jersey wrap which was worn 12 times during April and May. So isolating the clothes I wore most and adding in those I know go with the core items and I love (no good if I don’t love them, I won’t wear them and they should be on the way out anyway) I have my reverse approach to Project 333.